If you’re interested in giving your home a makeover without too much heavy lifting, painting your garage door is a great place to start. It can be a major focal point and complement other parts of your exterior, so it’s important to select the right color. Below, you’ll find a few key tips so you can be confident you’re making a selection that will boost curb appeal and look great in the coming years. If you want to keep things simple, choosing a garage door color that matches your home and trim is the best route. It will remain subtle and ensure your home looks fresh and bright. If you want to be bold and draw attention, however, you can contrast exterior colors, such as using a dark green garage door against neutral colors. 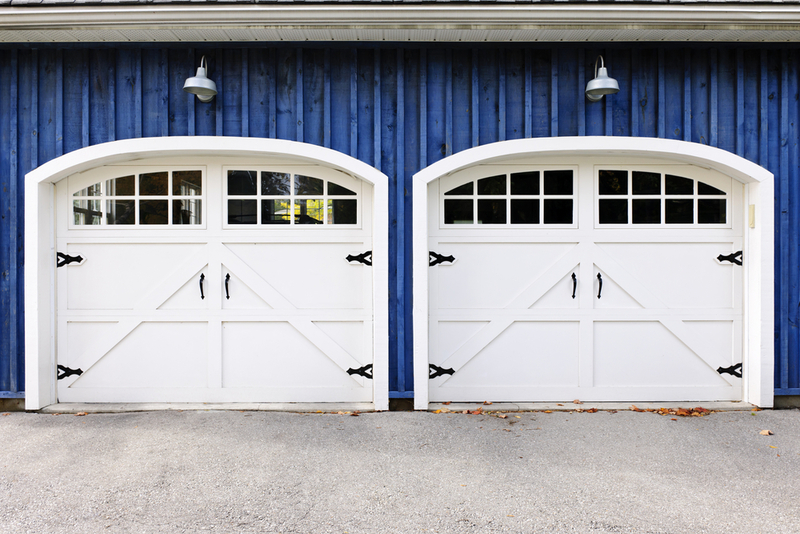 Your home’s exterior plays a role in how your garage door looks. If you have a brick home, for example, you can brighten it up by choosing a white or gray garage door. Likewise, bolder colors may conflict with brick or stucco. Vinyl and wood siding is more conducive to color variation, so keep your home’s materials in mind when browsing combinations. 3. What Do You Want to Feature? Your garage door can be tailored to accent specific parts of your property. Matching it with your front door, for example, will help the color pop. You can also complement stone walkways and hardscapes or have it blend with colored landscaping installations. Overall, you’ll create a more inviting exterior that welcomes visitors and pulls everything together. For all your garage door needs, turn to Original Triad Door Company. They’re proud to serve residents of the Triad, NC, area, and as a family-owned and -operated company, they know how important a garage door is to your home. Whether you need basic garage door repair or comprehensive garage door installation services, they are on the case. Call (336) 841-0629 today to speak with their staff. You can also visit their website for a full breakdown of their services and connect on Facebook for regular news and updates.